Blade length : 69.9 cm or 27.51 inches. Width at the hamachi : 3.09 cm or 1.21 inches. 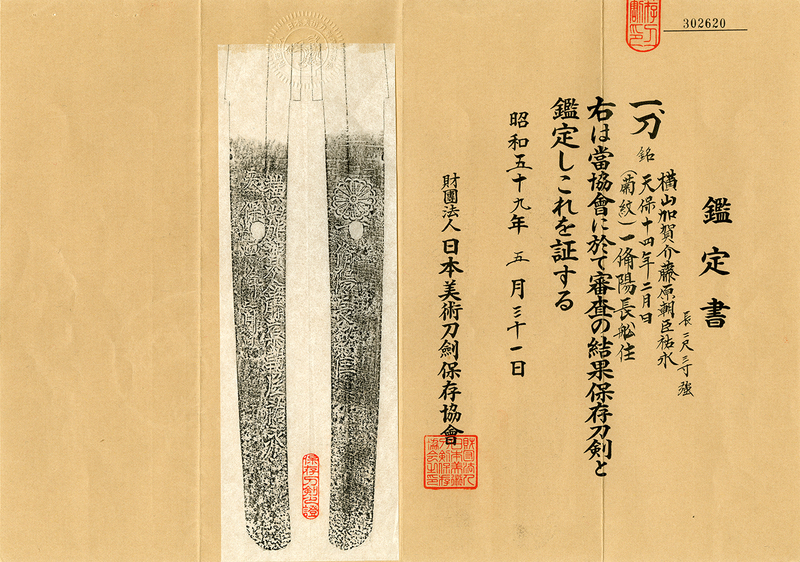 Era : Edo period. around Tenpo era. Shape : Regular width and thick blade. Jitetsu : Ko-Itame Hada well grained with Jinie attached.It is clear Jigane. Hamon : Nioi Deki, Suguha Hamon. Boshi is round shape. Special feature : This sowrd was forged by second generation of Sukenaga known as Tomonari's 57th generation descendants, Bizen Osahune Yokoyama school. 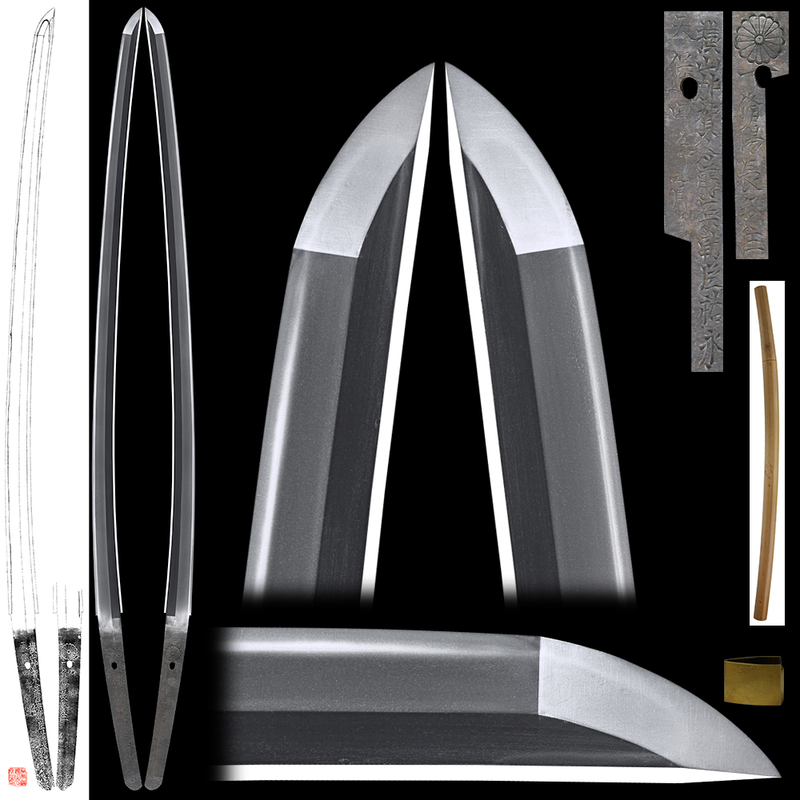 This blade is Suguha Hamon and nice clear Jigane.